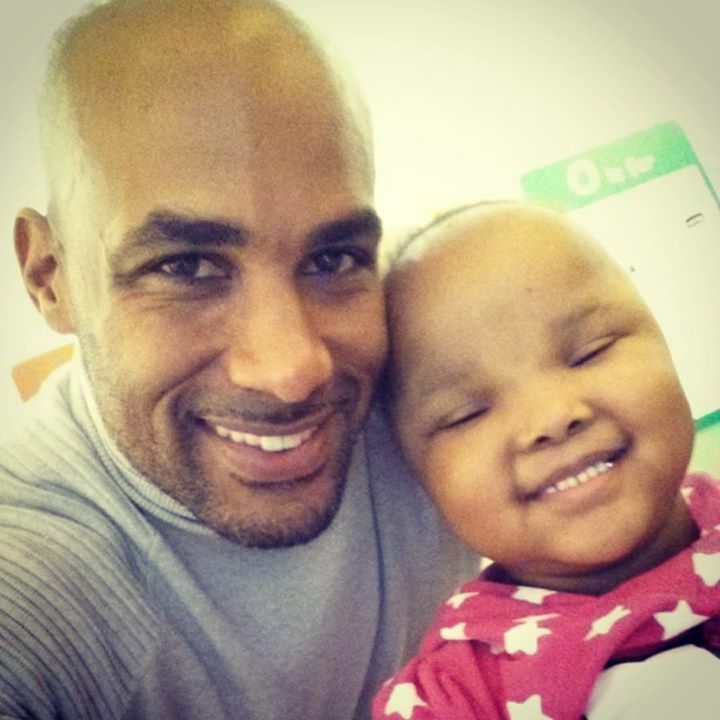 I guess it’s not enough that God blessed actor Boris Kodjoe with a gorg face and body, but he also gave him an extra dose of compassion and empathy. How do I know? Well, if you’ve been tracking his Twitter lately you would see that beyond the tomfoolery and man candy bod he throws at us on “Real Husbands of Hollywood,” he’s got time to put smiles on the faces of ill children living at St. Jude’s Children’s Hospital. Below is a pic of the hunk and his new friend Kamani he visited this week. Boris brigtening little Kamani’s day at St. Jude’s. Boris coordinated his visit with a celebrity tennis pairs competition that raises money for his foundation Sophie’s Voice that raises awareness for spina bifida, a birth defect that affects spinal cord development, that his daughter suffers from with his wife/actress Nicole Ari Parker. Adding to his good works is traveling overseas with the wifey to Ethiopia to raise money for a school that helps 700 poverty-stricken kids get an education. The power couple hosted a fundraiser for The Ethiopian Children’s Fund last month. 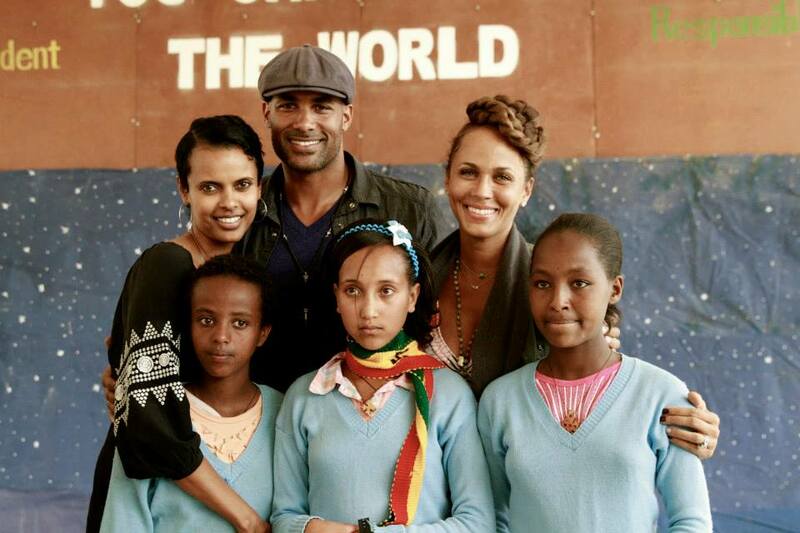 Founder of Ethiopia Children’s Fund Anna Getaneh, The Kodjoes, and kids at the school. And he’s not the only one. Gaius Charles (ASIDE: the name may not be familiar but this bod may refresh your memory if you’re a “Friday Night Lights” fan END OF ASIDE) is also leading the pack in empowering the children. In fact, he also took a trip overseas, only his plane landed in Uganda where he’s head of the Uganda Youth Empowerment Project. The UYE project aims to provide kids with sport programs, HIV/AIDS awareness programs and self-empowerment conferences. 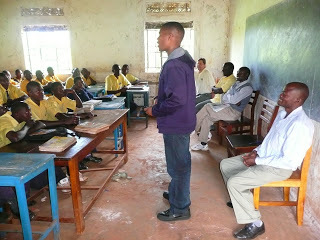 Gaius Charles chattin with kids at a secondary school in Uganda in 2011. Gaius has been rallying for 7k to keep the project funded. They have 18 more days to reach their goal, and so far raised $2,540. To help UYE reach the finish line and get a personalized thank you shout-out from Gaius, please click here.